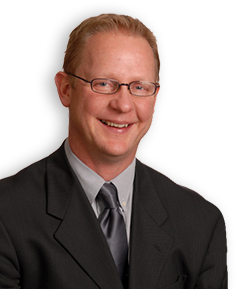 Since 1992, Lyndon Sommert has been excelling in his career as a licensed real estate agent. Growing up with his father's strong influence and achievement in the market, Lyndon's real estate expertise includes investing, flipping, sales, marketing and training. With over $100,000,000 in real estate transactions, you can entrust Lyndon with all your real estate needs. With a passion for acquiring homes to renovate and flip, Lyndon currently has numerous investors that rely on his expertise in this area of real estate. Lyndon has been training and coaching other real estate agents through his company – Advance Real Estate Training, Inc. – since 1997 and has trained over 5,000 agents throughout North America. He was the exclusive trainer for Realty Executives Western Canada, and Lyndon's course "$imple $teps to $uccess" was accredited in Alberta. Lyndon also conducts regular seminars for the public on real estate investing and renovating. When he isn't busy changing the face of the Real Estate world, Lyndon enjoys spending time with his five children and his wonderful fiancée and business partner Desiree. He is an avid sports fan and enjoys life outdoors to the fullest. Lyndon is focused and dedicated to the success of his real estate associates as well as within his personal life.